ABLE are the exclusive UK distributor of Canty Immersion Turbidity Liquid Particle Size Analysers, Colour Measurement or Percent Solids Measurement Systems which use a variable insertion measurement gap unique to the Canty system. The unique fused glass seal allows our equipment to be easily submersed into the product for quick, highly accurate process measurement. 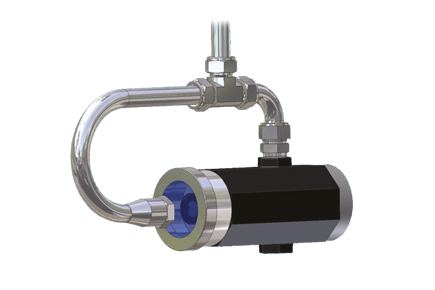 The image process can be setup with multiple zone sensing on the image of the fluid thus comparing results for reliability and allowing immediate detection of any problem.